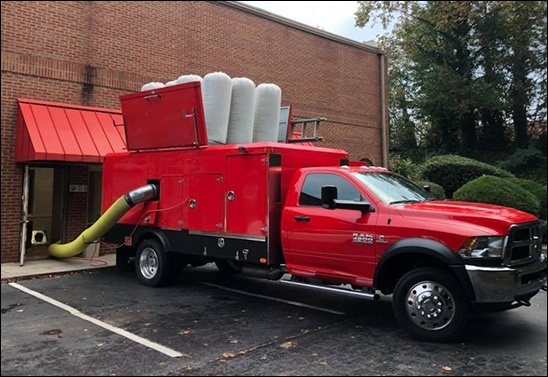 At HVAC Cleaning Technologies, we employ a source removal technique using our Power Vac Trucks and specially designed duct cleaning tools in our air duct cleaning process. To help our customers better understand our cleaning process we have outlined it below. Attach a 10” suction hose to the ductwork at the furnace, this hose runs out to our Power Vac Truck which will remove all the debris from the duct system and your home while we clean. Remove and clean all supply diffusers and return grills. Brush sweeping both the supply and return ducts from inside the house back towards the furnace. This loosens all the particulate such as dust and mold that is on the duct walls. Air sweeping the supply and return ducts from inside the house back towards the furnace to help push all the debris downstream towards the furnace and out to the truck..
Reinstall all supply diffusers and return grills. Seal any access openings and check that all exposed duct connections are fitted properly. Fog the system with an EPA registered duct sanitizer and deodorizer. Replace the one inch filters with high efficiency disposable pleated filters and check all exposed ductwork to make sure there are no loose ducts, if we find any we will reattach them. 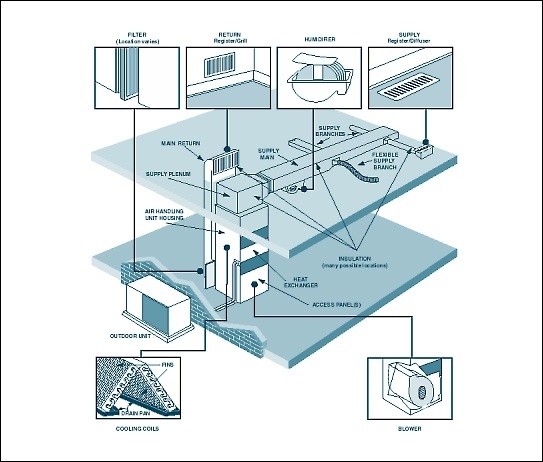 Dryer vent cleaning improves the safety and efficiency of your clothes dryer operation. As dryer vents become filled with lint and other debris, drying time increases and possibly can cause the dryer itself to overheat. This increases energy consumption since the dryer has to run longer to dry your clothes and can also cause fires in the dryer or the dryer duct due to overheating. The Consumer Product Safety Commission reports dryer related home fires are on the increase. CPSC figures show that in 1997 there were 16,800 dryer fires which caused 30 deaths, 430 injuries and 97.3 million dollars in property damage. If you have noticed that your dryer is running longer than it used to you may need to have the dryer vent checked and cleaned. 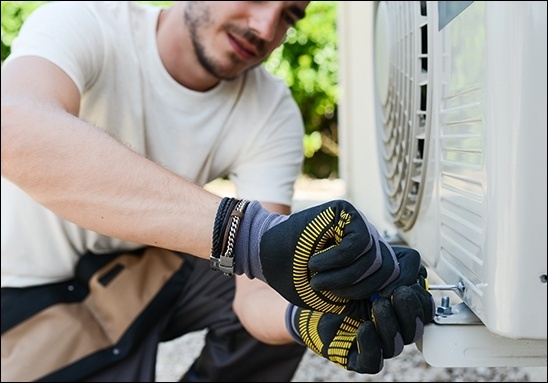 Some dryer vents are relatively short and straight and can be cleaned easily by the homeowner, but others aren’t that easy and may require the use of special air tools and other equipment. We have tools specifically designed to clean dryer vents and with these tools we are able to do a thorough job of cleaning even the most difficult installations. Our process of cleaning dryer vents involves using 250psi compressed air sweeps and rotating brushes. This process will not only remove the material clogging the dryer vent but will also clean out all of the buildup inside the walls of the dryer vent so that it will stay cleaner longer. While dryer vents are routinely blocked with lint, animal nesting is also another frequent cause of dryer vent blockage and our equipment allows us to remove these blockages as well. Another problem created by blocked dryer vents serving gas dryers is the possibility of carbon monoxide seepage into your home. If the dryer is not exhausting properly to the outdoors, CO can back up into the home. We measure the duct backpressure before and after the cleaning process to determine the effectiveness of the cleaning. This also helps insure your dryer duct installation does not exceed recommended limits.